I don't remember where I got this chip. 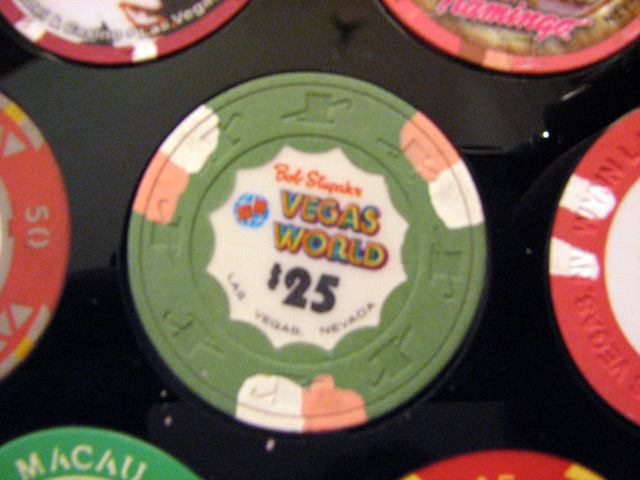 I love the Vegas World logo. Fabulous. Vegas World was located where the Stratosphere is now.